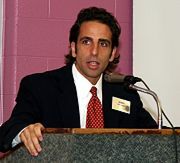 March 31, 2007 will be the second anniversary of the death of Terri Schiavo, a cognitively disabled woman who was starved to death according to the wishes of her husband and the order of a Florida court. The Schindler family, backed by countless disability groups and individuals around the world – including several direct pleas from the Vatican to spare Terri’s life - fought for years to save Terri from death at the hand of her husband. 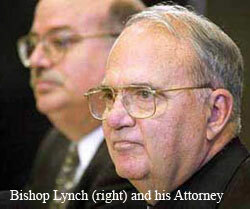 Bishop Lynch issued one statement in 2005 during the 13 days that it took Terri to starve to death in which he called on the Schindlers to reconcile with Michael Schiavo in the name of “peace”. Michael Schiavo was married in a Catholic Church in Lynch’s diocese just a year after Terri’s death. 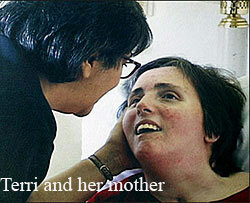 Schiavo married the same woman with whom he had two children during the time that Terri was hospitalized. Bobby Schindler publicized his letter to Bishop Lynch through a press release at Earned Media with a commentary which quoted from Pope Benedict’s recent address to politicians. In the March 13, 2007 address, Benedict re-emphasized the politician’s responsibility to defend all innocent human life and parallel duty to oppose abortion and euthanasia.